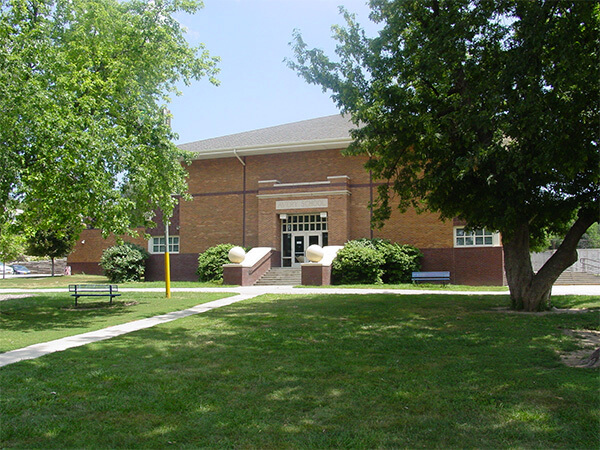 History: Avery Elementary School was originally called South School and was part of School District #5, organized in 1869. In 1916 a beautiful brick school at Avery was built, part of which is still included in the present Avery School building. In 1961 Avery citizens voted to have District #44 join the Bellevue Public Schools. School Purpose: The staff and students of Avery Elementary School will cooperate to be productive citizens and lifelong learners with shared respect and responsibility in reaching our common goal. 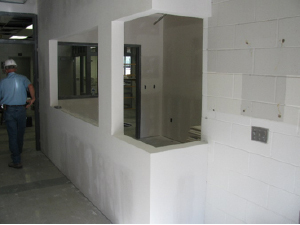 Work is progressing well at Avery Elementary. The current project involves the replacement of the existing HVAC equipment in the building and improvements in life safety items. Life safety and security considerations that will be taken care of include the installation of a fire sprinkler system throughout the building, inclusion of a new security entrance vestibule and additional cameras around the perimeter of the building. The project also includes the replacement of some existing railroad tie walls located at a couple of areas on the site that are starting to tip and lean and to replace them with new concrete block segmental retaining walls. Work is anticipated on being completed the first week of August and prior to the start of the upcoming school year. The Bellevue School Board has approved the bid from Lueder Construction to proceed with the planned life safety, building maintenance, building security and HVAC upgrades in the building. Life safety and security considerations that will be taken care of include the installation of a fire sprinkler system throughout the building, inclusion of a new security entrance vestibule, and construction of new stairwell enclosures to comply with current fire codes. 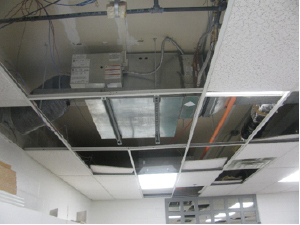 HVAC upgrades will include the replacement of the existing chiller/condensing units, replacement of the individual unit VAV boxes that serve the individual classroom, and replacement of the existing boilers and main air handler unit. The project also includes the replacement of some existing railroad tie walls located at a couple of areas on the site that are starting to tip and lean and to replace them with new concrete block segmental retaining walls. Work will begin on the project at the end of May and should be substantially complete in time for the start of school in August 2018. The Bellevue School Board has approved the process of going out to bid for planned work at Avery Elementary to complete life safety, building security and HVAC upgrades in the building. Life safety and security considerations that will be taken care of include the installation of a fire sprinkler system throughout the building, inclusion of a new security entrance vestibule, and construction of new stairwell enclosures to comply with current fire codes. HVAC upgrades will include the replacement of the existing chiller/condensing units and replacement of the individual unit VAV boxes that serve the individual classrooms. Pricing will also be received on replacement of existing boilers and main air handler unit to determine if these items will be included (budget dependent) since these items will also be nearing the end of their window of useful use expectancy. Work identified within the scope of the bond work also includes the repair/replacement of some existing railroad tie walls located at a couple of areas on the site. It is anticipated that work on the project will begin in mid-May and should be substantially complete in time for the start of school in August 2018.